UPDATE 05/15/08: Police said the aunt was in the bathroom with the girl, preparing to give the child a bath, when her two dogs came into the room and began attacking. Lt. Ken Dean said that the aunt "laid down on top of the little girl while the dogs continued to inflict damage and injury to the aunt." The girl, who has not been identified, remains in critical condition. The aunt, 25-year-old Chrystal Owens, was sent to Harris Methodist Fort Worth hospital. Dean said the case remains under investigation by the crimes against children unit, but that no criminal charges are expected to be filed against the aunt at this time. Keane Menefee, from animal care and control, said the two female dogs were not registered or vaccinated. The husband relinquished ownership of the two dogs to the city, allowing the dogs to be euthanized. Now that the dog's are dead and a tragedy has occurred, the property manager says he will not evict. "The family is going through enough," he said. 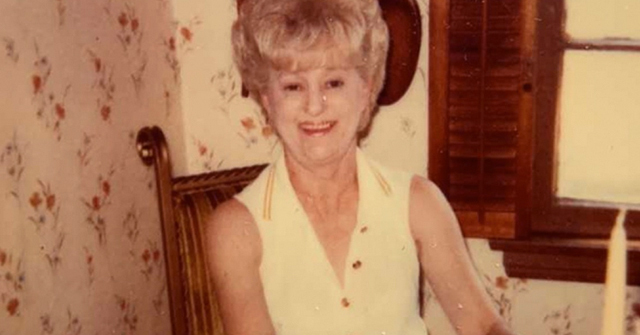 The attack occurred at her aunt's home (a mobile home park). The park manager, Walter Winters, said residents are required to sign a contract and the rules are clear: No pit bulls, rottweilers, dobermans, or chows. "If we would have known, I would have given them a notice to get rid of the dogs or vacate the property." "This is unbelievable. I walk my dog every day and never knew they even had dogs in that house." As soon as the aunt recovers from her injuries, she's going to have some real explaining to do, to the girl's family and to the Fort Worth Crimes Against Children Unit. Fort Worth, TX - In a developing story, just hours after a child was killed by a pit bull in North Carolina, there may be another fatality a few states away. Police said two pit bulls attacked a 3-year-old child and her aunt in Fort Worth, Texas. The dogs attacked the young girl as she was getting ready to take a bath in her home. She was airlifted from the scene to Cook Children's Hospital. At last report, she was in very critical condition. 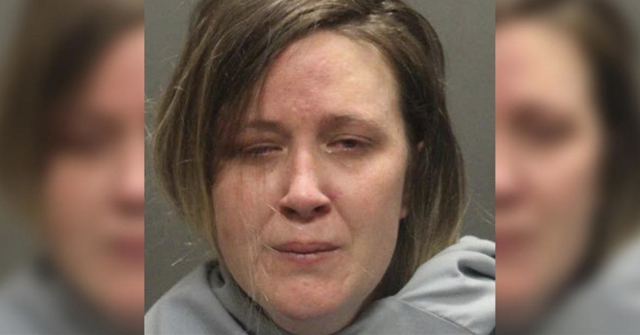 Police said the dogs then attacked the child's aunt as she tried to pull the dogs off her niece. A neighbor said the aunt tried to throw the dogs out the door, "but the dogs kept trying to get back up on the porch." "They airlifted her," the neighbor said. "I don't know if she's going to make it." It was literally more dangerous to be a 3 year old in America than a U.S. Marine in Iraq today! We’re talking about two 3 year old children in about 3 hours, in separate incidences! 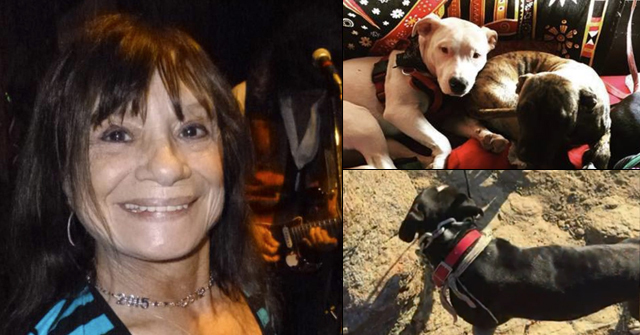 It happened last year too…the Tori Whitehurst and Seth Lovitt fatalities were reported about the same time — both family dogs, both pit bull type dogs. Less than a week later, Jennifer Lowe was killed by the same kind of dog. 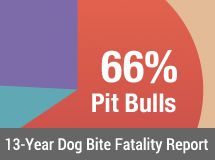 Between October and Jan 1 of last year, the only kind of dog that killed was a pit bull. I guess that makes them nonseasonal in their attacks; they attack all year around. To above, see, that is a normal person’s reaction…. But most pit bull owners DON’T CARE that their dogs have this propensity. They really don’t care that they have a dog that wants to kill other dogs. If that story were posted on the pro-pit message boards, the person would be dressed down for getting rid of the dogs. Pit bull owners would blame the other dogs owners…they would say its not their problem, since the other dogs were off leash. Pit bull owners don’t think its a problem to own a dog that wants to kill other animals….they have ABSOLUTELY no guilt or remorse when their dog kills another dog. Real dog lovers don’t want to own fighting breeds…who wants a dog that wants to kill other dogs, and has the means to do it? Great find with that comment. It seems pit bull owners won’t accept it until it happens to them, and I’ve talked to a few that said those very words. But what’s upsetting is even though this woman knew what the dogs were capable of and that they were not safe, she still chose to give them away instead of putting them down. A responsible pet owner does not do that. I’m begining to think that no matter what the pit bull lovers tell us, the “responsible pit bull owner” is another myth and an oxymoron by definition. Another dog expert relative …who believes they are a Lion Tamer shatters a kids life. Prosecute please! Shame on this family. You have to be living under a rock not to know the danger at this point! Another analysis of this attack and other. Hmmm….all it would take is ONE resident to claim that they saw the dogs and notified the park manager. Wonder if anyone will come forward? I think any family whose child is mauled by a pit bull should face child endangerment charges. It’s just ridiculous to keep accepting excuses for this…no one can claim that they “didn’t know” a pit bull can be dangerous to children. It’s like claiming they “didn’t klnow” a child could get hurt playing with a loaded gun. Where are all the kids taking lifeflights from Goldens, Labs and St Bernards?!!!!!!!!! He is essentially saying…these dogs can’t differentiate between a kid and another matchdog. Yes and ALL Pit Bulls have fighting genes in them….The noble 19th century dogmen culled thousands of non-proficient fighters to create and “refine” the breed and it is still going on today: See Mike Vick and Pat Patrick. I too have heard that a dog sees children as a peer instead of a human. The difference is pit bulls have the genes to fight and kill their peers while other dogs don’t. Most dogs don’t want to fight, they will make a big show of things instead to avoid fighting, and if they must fight they will stop when the point is made. One of the reasons children get bit by dogs more so than adults is the dog has less qualms about biting a peer to make their point (and in this case a bite is not an attack) than a human being. Pit bulls may have a higher pain threshhold and can take abuse from kids, but when those fighting genes are triggered the kid does not stand a chance. If owners were truly educated about the dogs they have and dog behavior in general, no one with children would own such a dog.